One of the best parts of Stranger Things is the way that characters in the show are able to communicate. Eleven (Millie Brown) is telepathic, Jonathan (Charlie Heaton) speaks through his photographs, and Will (Noah Schnapp) can manipulate Christmas lights. 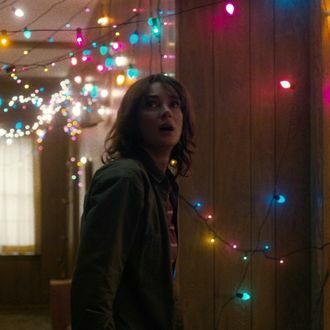 Once Joyce Byers (Winona Ryder) figures this out, she hangs up Christmas lights over a series of letter so that she can receive messages from her son. If you just bought a few boxes of Christmas lights and planned to do the same thing, consider checking out Cockeyed.com’s new program before you ruin your living room. 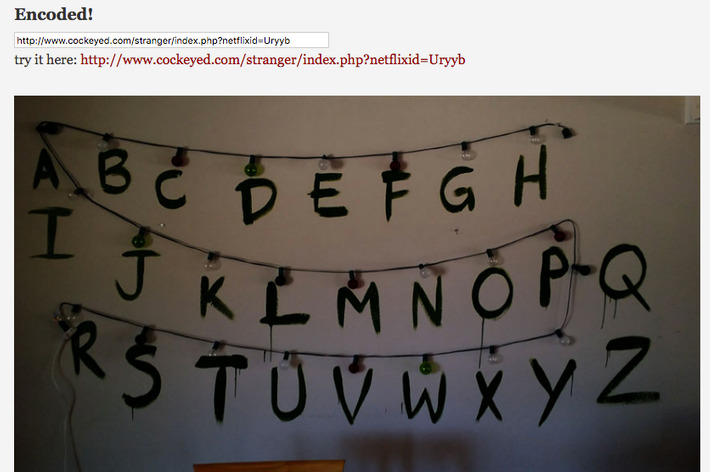 The site lets you type in a message, and then you get to see it spelled out in lights! Simply enter your message and hit submit. That will produce a link at the top of the page, and a GIF of the message, so go wild and start harassing your friends. Before we know it, Christmas light messages will be our only form of communication, and texting will be a thing of the past.